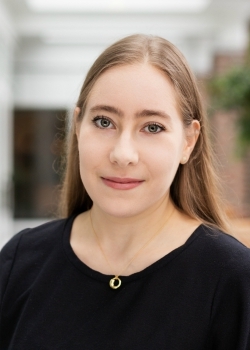 Victoria Aschheim studies music of the United States, particularly in the 20th and 21st centuries, and its relations (practical, theoretical, metaphorical, imaginative) to memory, ethics, and civic life. Her research blends compositional process and analysis with social aesthetics and comparative arts. Her book project, Citizen Composer: David Lang and the Aesthetics of Community, traces the musical language and artistic strategies by which the American composer David Lang reshaped principles of objectivity and transparency after the zenith of minimalism. The results of this transformation, she argues, are musical experiments in inclusion and participation – community action – in a digital age and in a political moment of polarization and alienation. Her next project asks why, beginning in the mid-1980s, and in response to conditions of social emergency, minimalist and postminimalist composers turned to the choral ensemble and, often, to the genre of the oratorio. These works, she proposes, inaugurate new forms of hybridity in American concert music – between sacred and secular, theatrical and documentary. Out of the shadow of opera, the elastic composite of chorus and instruments emerges as a medium that empowers these composers to record and reassemble the real and the historical. Victoria’s writing appears in Notes: The Quarterly Journal of the Music Library Association and in Staging History: 1780-1840 (Bodleian Library Publishing) and is forthcoming in American Music. 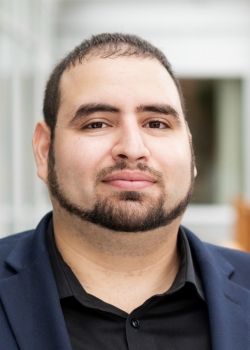 Dissertation: "The Scribe of the Alhambra: Lisān al-Dīn ibn al-Khaṭīb, Sovereignty, and History in Nasrid Granada"
Mohamad Ballan is a historian of the pre-modern Mediterranean world, specializing in the political, intellectual and cultural history of medieval Iberia and North Africa. He is particularly interested in historiography, intercommunal relations, political theology, and borderlands/frontiers. 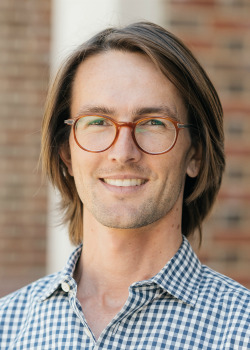 His current research examines the relationship between historiography, royal patronage and developments in political thought in late medieval Spain between 1250 and 1500. His first book project, tentatively titled “Lord of the Sword and Pen,” focuses on the phenomenon of the “scholar-statesman”—jurists, physicians, historians and litterateurs who ascended to the highest administrative and executive offices of state—in the late medieval world. It focuses on the career and writings of Lisān al-Dīn ibn al-Khaṭīb (d. 1374), the preeminent historian, philosopher and chancellor of the Nasrid Kingdom of Granada, situating this figure within a dynamic intellectual and political network of scholars, functionaries and statesmen across the late medieval Mediterranean world. Dissertation: "To the Mine I Will Not Go: Freedom and Emancipation on the Colombian Pacific, 1821‐1852"
Yesenia Barragan is a historian of modern Latin America and the Caribbean. She specializes in the history of Afro-Latin America and the African diaspora in the Americas, with a focus on race, slavery, and emancipation in the nineteenth and twentieth centuries. 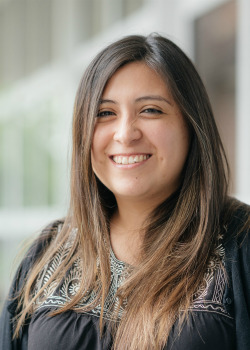 Yesenia earned her Ph.D. in Latin American History at Columbia University in 2016. 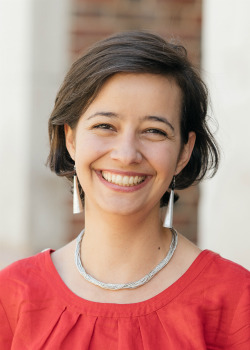 Her current book project, Frontiers of Freedom: Slavery and Emancipation on the Colombian Pacific, explores the protracted process of the gradual abolition of slavery (1821-1852) and the aftermath of emancipation on the frontier Pacific lowlands of Colombia, the former gold mining center of the Spanish Empire. The first English-language study of gradual emancipation in Colombia, Frontiers of Freedom reframes the history of emancipation in the Atlantic World by centering Colombia and the northern Andes within a larger history of antislavery and abolition. Her next book project turns to the making of the African diaspora in the Americas during the long nineteenth century, looking especially to the U.S. South, Mexico, Central America, the northern Andes, and the Caribbean. Dissertation: "Poetic Revolution and Political Isolation: Haiti's Literary Avant-Garde, 1957-1971"
Nathalie Batraville's main objects of inquiry are literature and history, with a focus on anticolonialism, Black feminist and queer theory, and cultural formations of the Black Atlantic. Since completing her PhD in French at Yale University in May 2016, she has begun a new project that seeks to situate and theorize Black feminist writing and politics in the Caribbean, France, and Quebec. She is also working on a monograph that conceptualizes liberation and revolution beyond independence, by taking Haiti – the "longest neocolonial experiment in the history of the West" (Michel-Rolph Trouillot) – as a point of departure. The book builds on the critical lens and the lucidity of poets and novelists who were active in Haiti during François Duvalier's dictatorship (1957-1971), particularly Marie Vieux-Chauvet, Davertige, Francis Séjour-Magloire, and Jacqueline Beaugé. Batraville's scholarship has appeared in The CLR James Journal (Special issue: Black Canadian Thought) and Francophone Postcolonial Studies, and is forthcoming in Small Axe and Tangeance. 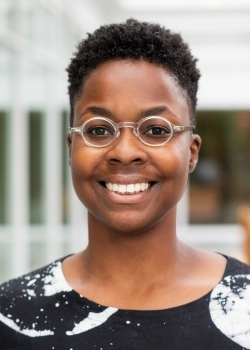 As part of her commitment to public humanities and liberatory pedagogies, she has designed this year a series of workshops called Project X that supports Black collective action at Dartmouth and in the Upper Valley. Rebecca Clark’s research and teaching focus on twentieth and twenty-first century American literature and visual studies. Her first book project, American Graphic, explores what it means—in terms of form, content, and affect—when we recognize moments in written and visual texts as “graphic,” at once viscerally grotesque and coolly clinical, particularly in a post-’45 American context. She is planning a second project about uninvited guests in contemporary American literature and film and is particularly interested in scholarly work that is not just about the relationship between image and text, but created using both. Publications include an article on Teju Cole and bed bugs in the journal Narrative and an original comics adaptation and analysis of Thomas Hoccleve’s 15th-century poem “My Compleinte” in the journal postmedieval. Dissertation: "Binding Freedom: Cuba's Black Public Sphere, 1868-1912"
Sotelo Eastman's work examines the social, intellectual and literary history of modern Afro-Latin America and the Caribbean. His book manuscript, tentatively titled Binding Freedom: Cuba's Black Press in the Era of Colorblindness, maps a history of black intellectual thought during Cuba's abolitionist and civil rights movements, foregrounding the stories of everyday journalists and activists along with their diverse political and organizational affiliations. Through myriad materials, including an extensive collection of black press newspapers and criminal surveillance records, the book analyzes how new media technologies transformed the ways in which public opinion was formed and politically manipulated. At Dartmouth, he will continue research for a project about the construction of the public memory of slavery in the Caribbean as seen through literary materials, monuments, museums and other forms of public memorialization. 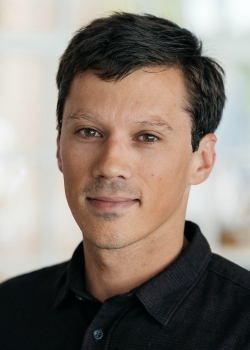 Building on his examination of neoliberal narratives of empire and the fluidity of racial hierarchies across geopolitical borders, he continues to write about international sport culture, in particular surfing (i.e. The Critical Surf Studies Reader, Duke University Press, 2017). 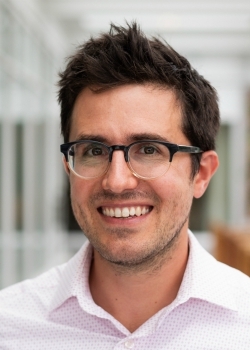 Max Fraser's research and teaching work focuses on American labor and working class history, American politics, and popular culture. He has been the recipient of the Patricia and Phillip Frost Award from the Smithsonian's American Art Museum, the Edwin Small Prize from Yale University, and was named a finalist for the 2018 Allan Nevins Prize by the Society of American Historians. His publications have appeared in American Art, Labor, New Labor Forum, Raritan Quarterly Review, Southern Cultures, and elsewhere, and he writes frequently for popular journals such as Dissent and The Nation. His first book, The Hillbilly Highway: Transappalachia in the Twentieth Century, will be published by Princeton University Press. Sean Griffin is a historian, philologist, and religious theorist, specializing in the most ancient and most recent periods of Russian civilization. His first book, The Liturgical Past in Byzantium and Early Rus, is currently in press with Cambridge University Press. In the work, Griffin uncovers the liturgical origins of Slavic historiography and shows that the myth of origins for Rus, a myth promulgated even today by the Russian Orthodox church, originated in the liturgical services of the Byzantine Empire. Griffin is now at work on two new projects. In the first, he is a collaborating with Randall Balmer on a documentary film and related monograph, provisionally entitled Russian Orthodoxy in Alaska: Old World Faith in the New World. His other work-in-progress is a treatment of post-Soviet political propaganda: ‘Is All News Fake News? Politics, Media, and Religion in Putin’s Russia’. Griffin earned his Ph.D. from UCLA. 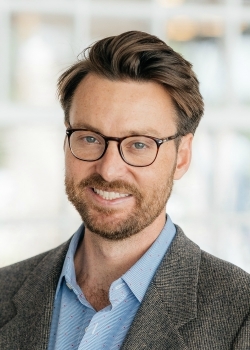 He was most recently a VolkswagenStiftung fellow at Westfälische Wilhems-Universität in Münster, Germany, and before that he spent time as a visiting professor at Stanford University. 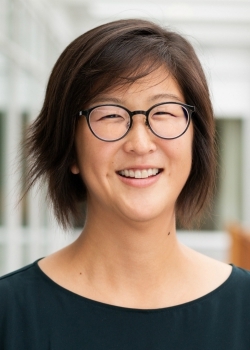 Dissertation: "The Tale of Two Cities: A Feminist Critique of Economic Development and Neoliberal Multiculturalism in Milwaukee"
Yui Hashimoto is a feminist economic geographer whose research focuses on how race, class, and gender intersect with the contested terrain of urban economic change. She is examines how urban economic change both shapes and is shaped by multiracial solidarities, labour organizing, and socially reproductive work. In particular, she focuses on how different scales of racial politics of American cities contour such economic change and movement building. In her dissertation, she specifically highlights how colourblind redevelopment strategies, in fact, work to exacerbate already-existing racial and class inequalities in Milwaukee, Wisconsin. Moreover, colourblindness elided the contradictions in the City of Milwaukee and its boosters’ strategies while also limiting labour and community organizing efforts in the city. 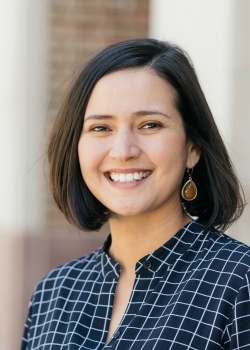 After completing her dissertation in Geography in May 2018, she will begin a project that builds on her dissertation to interrogate multiracial solidarities between Asian American and Black activists organizing around issues of urban economic change. 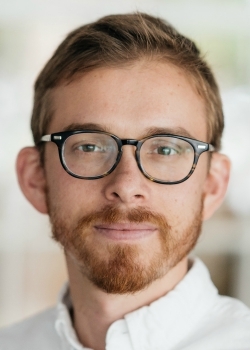 Dissertation: "The Hidden Sentence: Understanding the Historical Rise of a Broader, Lesser Known Form of Penal Control in the United States"
Joshua Kaiser’s research uses a critical, sociological lens to study state power, criminal law, and social inequality. Thus far, he has used interdisciplinary approaches and mixed methods to study this subject in three main projects. The first investigates a vast but unknown set of 35,000 U.S. penal laws that he calls “hidden sentences,” meaning all state-imposed imposed punishments inflicted upon criminalized people beyond their formally recognized, judge-issued sentences. He argues that these policies form a hidden aspect of the penal system that legitimizes and continually reinforces race, class, and other inequalities by reifying societal assumptions. Kaiser’s second area of research on state power and inequality illuminates the social, multidimensional (racial, gendered, and criminal) process of genocide in Darfur and elsewhere. He is also the co-author of Iraq and the Crimes of Aggressive War and several articles on racialized segregation, criminal entrepreneurship, and legal cynicism in the U.S.-led invasion and occupation of Iraq. Dissertation: "This Day, We Use Our Energy for Revolution"
Laura McTighe's research uses multidisciplinary methods to understand and intervene at the intersections of religion, race, gender, and activism, with particular attention to the carceral state, disaster capitalism, and land dispossession. Ethnographically, she centers the often-hidden histories, practices, and geographies of struggle in America's zones of abandonment, and ask how visions for living otherwise become actionable. Her current book project, Born In Flames: Southern Black Feminisms and the Horizons of an Otherwise, is a collaborative ethnography of race, religion, and the spatiality of opposition in the Gulf South, which she has researched and written alongside Women With A Vision (WWAV) in New Orleans, a black feminist health collective founded in 1989. 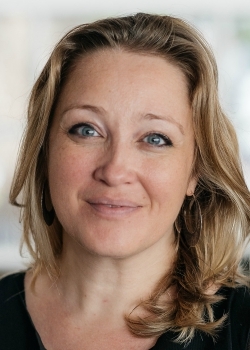 At Dartmouth, she is also continuing to develop a second major project, "Moral Medicine," a historical ethnography of the emerging women's carceral sphere in nineteenth century Massachusetts, New York, and Indiana that connects that period's carceral imaginaries to our current era of mass incarceration. McTighe comes to her scholarship through twenty years of grassroots organizing to end state violence and advance community healing. She is the co-founder and associate director of Front Porch Research Strategy in New Orleans, and currently serves on the boards of Men & Women In Prison Ministries in Chicago and Reconstruction Inc. in Philadelphia. Dissertation: "A Place Altogether: Planning and the Search for Unit Landscapes, 1816–1956"
Dissertation: "The Untimely Image: On Feminist Inactivism and Postcolonial Ethics"
Lakshmi Padmanabhan is a scholar of film and media studies, specializing in South Asian and diasporic visual cultures. 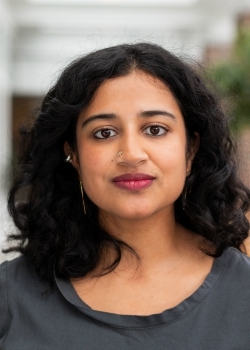 Her first book project, "The Untimely Image: Cinematic Form and Feminist Historiography,” addresses the recent turn to experimental documentary and video in South Asian art and activism, examining how formal experiments with cinematic temporality index queer feminist politics. Padmanabhan’s project develops an untimely cinematography of civil disobedience by collecting a visual archive of inaction at the margins of feminist protests, and situating these interventions within the longer history of anti-colonial practices of democracy. The aim of the project is to challenge the desire for motion that underpins film analysis and political theory under late capitalism. While at Dartmouth, Padmanabhan begins her book-length study of documentary cinema in the aftermath of 9/11 within the South Asian diaspora. This study in invested in understanding the aesthetics and politics of the archival turn in diasporic avant-garde film and contributes to contemporary debates on visualizing racialized violence and the role of documentary in representing political crisis. She is a member of the Women & Performance editorial collective, and is editing a special issue of the journal on the theme of “Performing Refusal.” Her academic writing has appeared or is forthcoming in Women & Performance, Post45, and New Review of Film and Television Studies. She has curated experimental film programs with Magic Lantern Cinema and Brown University in Providence, RI, and BRIC Arts in Brooklyn, NY. Dissertation: "Latino Print Cultures in the U.S., 1970-2008"
Tatiana Reinoza is an art historian and independent curator who specializes in the history of graphic arts. Her current research examines how Latino artists use printmaking and mapping to contest territoriality and nativism in the U.S. She earned her PhD in art history from the University of Texas at Austin in 2016. 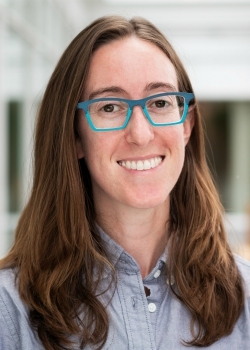 Currently, she is a postdoctoral fellow of the Society of Fellows at Dartmouth College, and next fall she begins a tenure track in art history at the University of Notre Dame. Her academic writing has appeared or is forthcoming in the Archives of American Art Journal, alter/nativas: latin american cultural studies journal, and Aztlán: A Journal of Chicano Studies, and edited anthologies such as A Library for the Americas: The Nettie Lee Benson Latin American Collection (Austin: University of Texas Press, 2018). Dissertation: "Detectors, Reference Frames, and Time"
Alexander is a theoretical physicist working in the field of quantum information science. 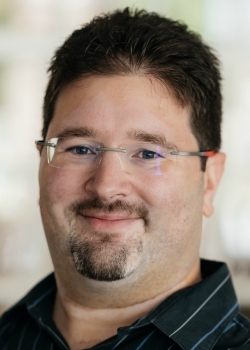 Taking an information-theoretic approach, his research focuses on situations where both gravitational and quantum effects are important, with the aim of better understanding the interplay between the two. 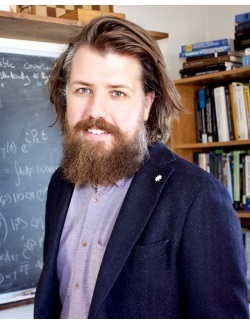 In particular, he is interested in how our classical notion of time emerges from a quantum theory of gravity, physical measurement models in quantum field theory, the entanglement structure of quantum fields in curved spacetime, and how recently proposed satellite experiments can better test general relativity. Dissertation: "Violence and Violins: the Social Resonance of Classical Music in Venezuela"
Yana Stainova is a sociocultural anthropologist studying artistic expression and social transformation in Latin America. Her first book project, Sonorous Worlds: Enchantment and Aspiration in Venezuela, explores how young people on the urban margins use music to create selves and worlds against the forces of social exclusion, everyday gang violence, political repression, and forced migration. It portrays the practice of music as a power that colors people's experiences of everyday life and shapes their ideas about the future. The ethnographic site of her research is El Sistema, a classical music education program for youth living in the barrios of Venezuela. Her second book project asks what music can teach us about migration, citizenship, identity, and belonging. It traces the link between artistic creativity and political activism by studying the music practices of Latinx communities in Los Angeles. Dissertation: "What Is Ecotechnology? Biopolitics and Trophic Form in U.S. and Canadian Cultures of Science"
Derek Woods works on modern environmental literature in English and contributes to the interdisciplinary field of science and technology studies. Entitled What Is Ecotechnology?, his first book project describes the role of technology in the cultural reception of the ecosystem concept following the Second World War. Each chapter offers a different answer the project’s central question, addressing topics such as the influence of cybernetics on ecological science writing, the terrarium as an experimental technology and literary setting, the terraforming genre in science fiction, and the biopolitics of industrial chemistry. These sites shape the politics, aesthetics, and ontologies operative as humans wake up inside a biosphere that exceeds our control—up to and including the recent framework of “Earth system science” and its role in understanding climate change. At Dartmouth, Derek is starting a second book about the techniques through which writers and artists represent scales outside the human sensory world. The Poetics of Scale is an anatomy of these techniques, emphasizing their relationship with concepts of scale from the philosophy of science and new materialist theory.